October 21, 2011 by Ken Ward Jr.
For folks who are interested in the coal industry or coal history, there’s plenty to love about the West Virginia Book Festival, being held this weekend at the Civic Center here in Charleston. First off, my friend Bonnie Stewart will be giving a talk about her new book, “No. 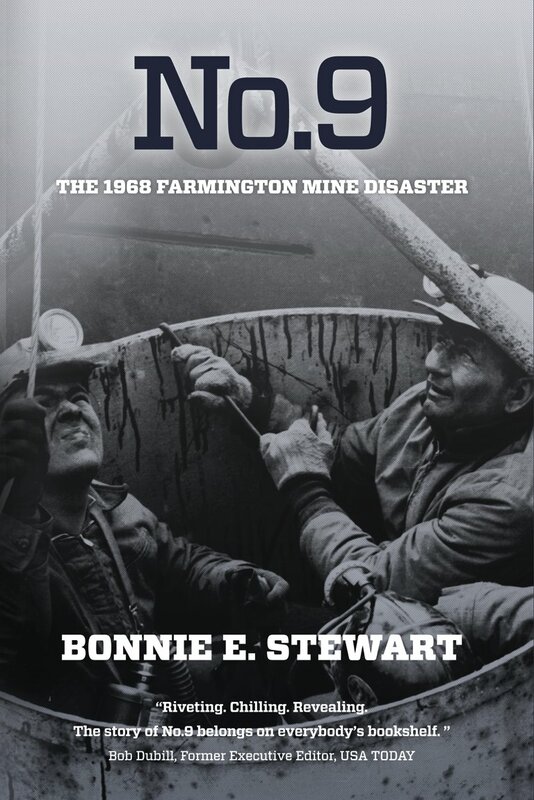 9: The 1968 Farmington Disaster” on Saturday at 10 a.m. We’ve talked about Bonnie’s work before on Coal Tattoo here and recall a great NPR piece that gave a preview of the book here. It’s also been featured on the Gazette’s book festival blog by my boss, Gazette City Editor Greg Moore. Records and documents, Stewart writes, show the 1968 “disaster easily could have been prevented. The company men responsible for the mine’s day-to-day operations knew the mine was dangerous, but did not slow or stop production to make it safe. One of the book’s saddest stories is about 48-year-old Emilio Megna, who had one more shift before he would retire and open up a gas and repair service station in Worthington. “Just eight more hours, 600 feet underground inside the cold and dark tunnels, then he would no longer have to breathe coal dust or scrub it from his face and clothes each day. “No longer would he have to worry about methane gas explosions or roof falls that could bury him alive,” Stewart writes. –Susan Kushner Resnick, author of Goodbye Wifes and Daughters, a book about the Smith Mine Disaster, will give a talk called “Telling True Stories from Coal Country and Beyond,” on Saturday at 4 p.m.
— Historian David Corbin will be talking about “Gun Thugs, Rednecks and Radicals: A Documentary History of the West Virginia Mine Wars” on Saturday at 1 p.m.
— West Virginia political legend Ken Hechler will be on hand to discuss a number of his works, including The Fight for Coal Mine Health and Safety. … I saw all the old homes along the road and it saddened me. Those rundown places had been there forever. So many people just merely exist, and that is what kills me about West Virginia. What I don’t understand is that some of these coal miners make sixty to a hundred thousand dollars a year and yet their first impulse is often to get a new car. I am loath to tell other people how to live, but I feel strongly that if their first instinct would be to embrace the enduring importance of education, their children would be better off. Every kid has some hidden talent which needs to be nurtured. If people don’t fully accept how important education is, all you have to do is come to this state. The coal industry and its lobbyists and special interest groups have run West Virginia for years and it depresses me that education is not the first priority. Back when I was going to school, things were more vibrant, if you can believe it. But when I visit there now, not a day goes by that I don’t think how lucky I was to get out. Some people might take that the wrong way, but I love West Virginia, and that is why I am saying this. I would really love to have this. Would really like to have the author sign it.Wonder if she will be doing any book signings?